Cool Don, I'll eyeball those. Doubt Johnnymac's going to do me a one off mini version of his beauties. Haha. 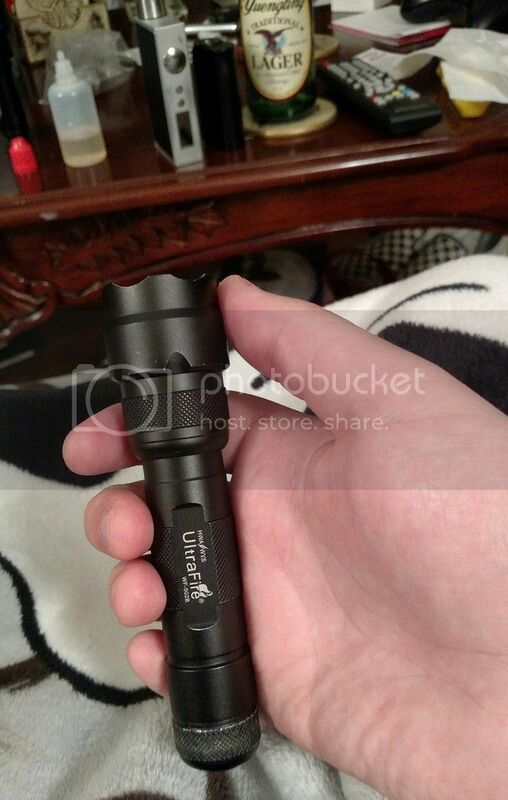 this is the one I have, claims 300 lumens.. it is bright I'll give it that. Slightly bigger than a normal key chain but it was the best I could do after losing the other button cell lenser I had.. when my missus lost my keys! 300lm - well they must have small lumens there. If you're happy with a CR123 light on a keyring, there are zillions of those. I'm quite partial to the Trustfire Mini01 (or Mini02) which keeps my car key company. What's the battery life like with those? I put a fresh battery in mine, of course its rude not to have a play with it while I'm there.. then when I actually need to use it the dam battery is always flat! What's a good 123 cell these days? CR123s are outrageously expensive to keep a light running on. Not sure if the Lenser will take 16340 cells from the voltage point of view rather than size. These rechargeable cells will work in most lights. If the Lenser is 3V max the same guy has adequate CR123 cells at around £1.50 each. You can get them cheaper but they tend to be crap. I once got about 20 Kodak branded ones for £16. The lights I've linked to are fine with rechargeables and the Tank007 can take a 10440 for retina searing short runtimes. I've seen shops asking £8 for one of them! Some eBay linkage - probably not fakes. The going rate seems to be in the £1.20-£1.50 a cell range. While SureFire branded cells are being charged for at premium prices, they aren't worth it - Surefire don't make cells (or very good lights). (08-02-2016 11:57 AM)gentlydoingit* Wrote: What's the battery life like with those? 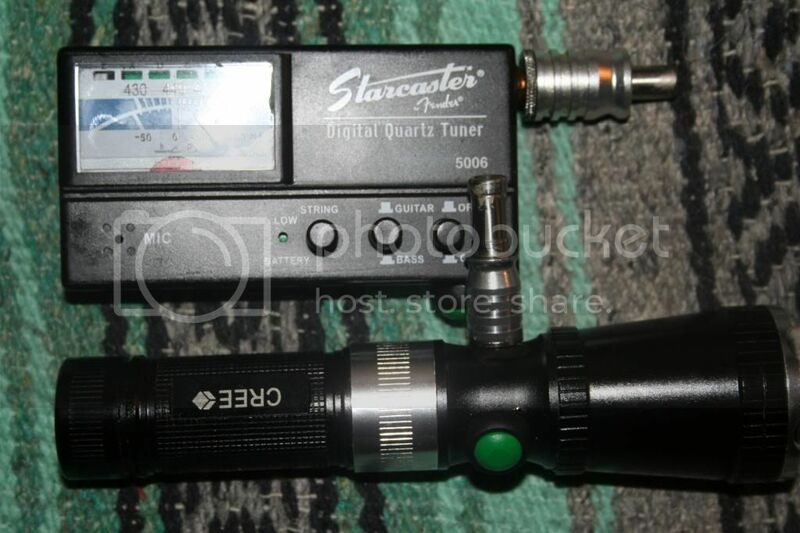 Also makes a great conversation piece around campfires when the host is using a 3xAAA POS from the dollar store and I let them borrow my triple Nichia custom (credit where credit's due, Brad built that one). I can't believe I missed this one. That's what I get for being too busy modding lights to have time to post. Hopefully I'll get in on the next one. 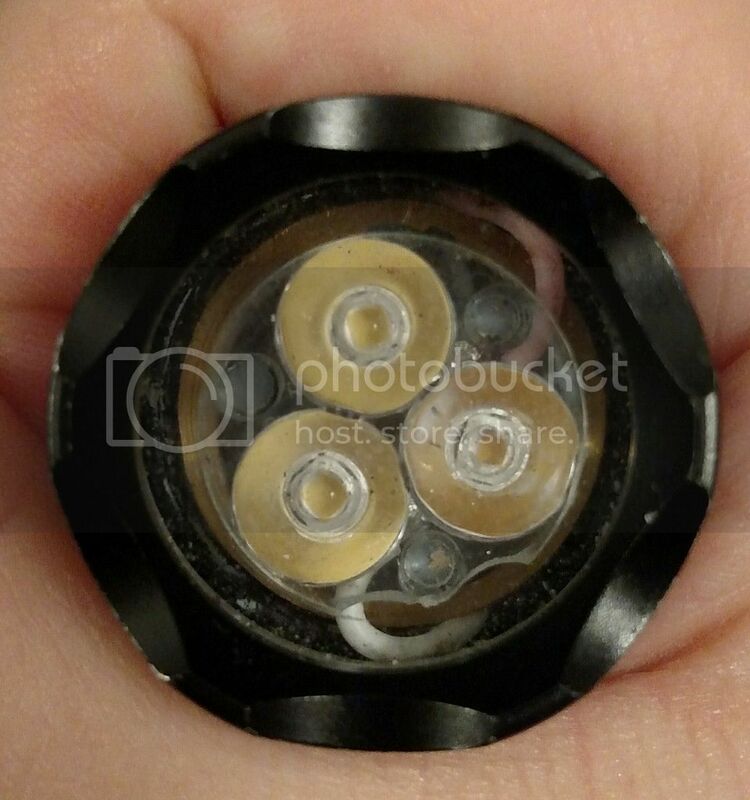 Did you ever take pics of your Nichia Triple Michael? Here's one I took a long time ago with several of my lights lined up. 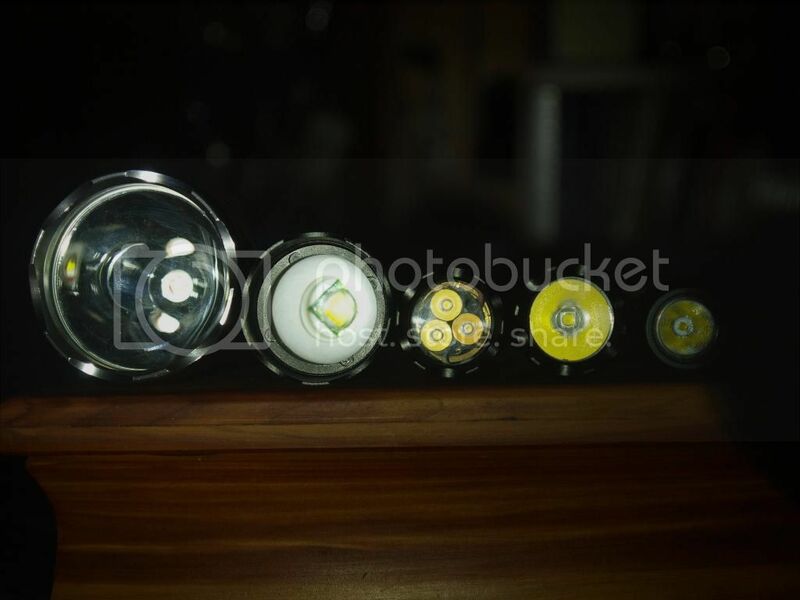 Of course the triple Nichia is the one with three LEDs. And then here's two that I just took. You can see it's getting some wear around the tail, it gets used a lot since it's my best EDC-sized light.